Doing many things for 100 days is no easy task… and school is no different! 100 days of school means 100 days of learning! For a teacher or an educator, it means 100 days of planning, organizing, supervising, and of course… teaching! 100 Days of School is finally here! All around the world, classrooms are gearing up to recognize the 100th day of school. While it is great to have fun, isn’t school also supposed to be educational? Don’t worry, we’ve got you covered! Scratch Garden has created a special video to celebrate 100 Days of School that just happens to be full of learning! Because you know what… 100 is an AMAZING NUMBER that can be easily related to many math, science, and even social science school lessons. 100 is awesome. When counting up, 100 is the first number with 3 digits. This must have been pretty special back in the day, because the Romans gave it it’s own numeral: C! Speaking of words that start with C, 100 years has it’s own special term called a ‘Century’. What kind of things can happen in a century? A percent (%) is an amount also called a fraction and it is expressed out of 100. 100 is the base number for many currencies. 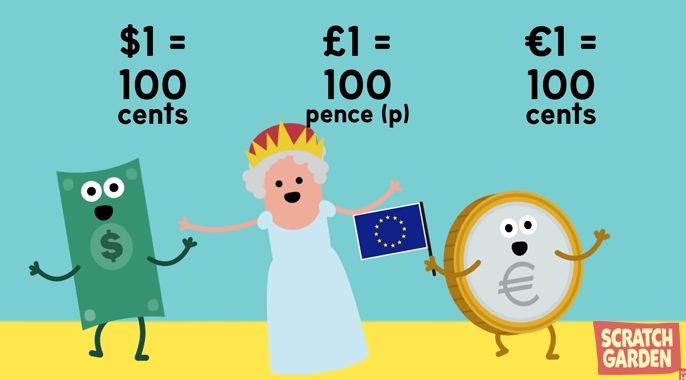 For example a dollar or a Euro is made up of 100 cents, and one pound is made up of 100 pence. And we just made a rhyme! In the metric system, 100 centimeters is the same as 1 meter. The first 9 prime numbers add up to 100. So cool! When using the Celsius temperature system, water boils at exactly 100 degrees! There is an imaginary line in the sky called the Karman line that 100 kilometers from the Earth’s surface. Many consider this the end of the earth’s atmosphere and the start of ‘outer space’! We’ve always believed that learning and fun don’t have to be separate things. 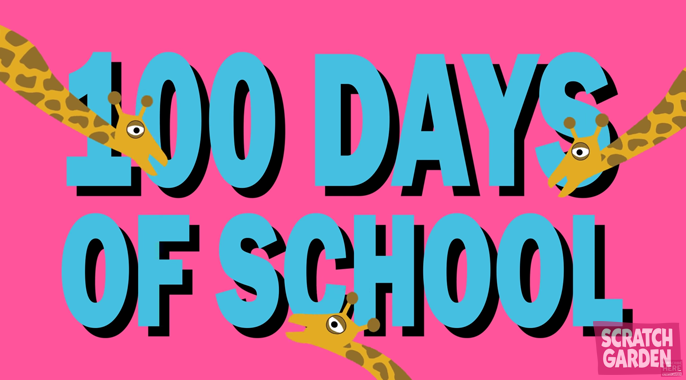 So watch the 100 Days of School Song and get up and dance and learn AT THE SAME TIME!